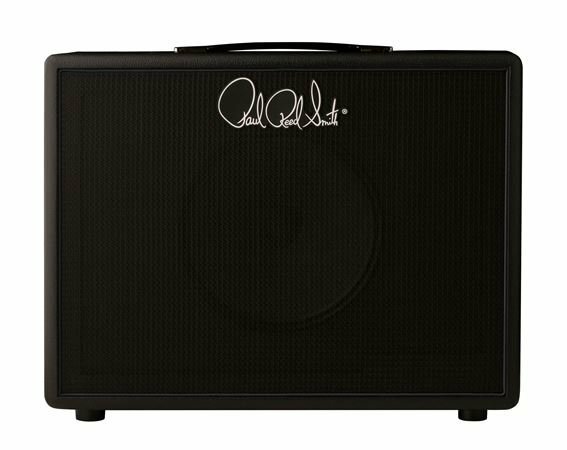 Order your PRS MT112 Mark Tremonti Speaker Cabinet 1x12 60 Watts 16 Ohms from AMS and enjoy 0% Interest Payment Plans, Free Shipping, Free Extended Warranty & 45 Day Money Back Guarantee. The MT112 cabinet perfectly compliments the MT15 guitar Head! The MT112 is a 1x12" closed back cabinet featuring birch plywood construction for sound quality, strength and durability. The 1x12" cabinet features a Celestion speaker for warmth and clarity. I bought this for my husband, as he is a huge music geek. and ever since he started using this product when he plays its so much smoother, it doesn't rattle and its so clear. Paired this with a Hughes & Kettner TM-18 also purchased from AMS. The Celestion V-30 speaker is something I’ve used before and is an awesome speaker for a variety of tones. PRS just makes gear right. The cab is built solid. Cleans are absolutely pure and as you break up the signal the cab projects crisp. It maintains this integrity as you get to “11”. Very impressed but not surprised as it is PRS. If you know PRS, their products are as much art as they are functional. This cabinet is no exception. Built to high standards and impressive in person, this cabinet is sure to draw attention and admiration as much from its sound, as it’s looks. This closed back design really pushes out a focused sound and helps deliver the articulate sound that the Tremonti amp was designed for. Whether or not you play his amp, this cabinet is sure to be as good as, if not better, than the competition! I put this up against my favorite Orange PPC112 (in black, of course). Head to head, they have the same V30 speaker so they have the same texture, but when you take a step back and listen to the sound in the room, the Tremonti is definitely bigger. Why? I would guess: 1. The Tremonti mesh is more open, more porous so sound escapes easier. The Orange has a thick basket weave that probably protects it more, but also blocks the sound more. 2. PRS put their insignia out of the way of the speaker. Orange has their crest right on top of the speaker cone! 3. Overall shape and volume play a big part in this, but I won't claim to know enough to explain the physics (volume, depth, baffle size). The PRS has a big low end without being loose, but yet remains open sounding making the Orange sound like it has a blanket over top. I love Orange, I'll never get rid of my PPC212, but I sold the PPC112 in favor of the MT112!